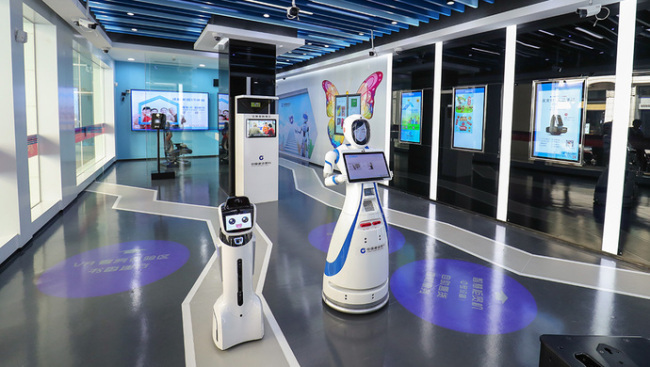 A China Construction Bank branch on Kiukiang Road, Shanghai, is being touted as the first “unmanned bank” on the Chinese mainland with its opening on April 9, 2018, reports the Shanghai Observer. Customers at the Kiukiang CCB branch have access to video teller machines, currency exchange machines, as well as interactive services including Augmented Reality and Virtual Reality. The self-service equipment can handle over 90% of the cash and cashless services of a traditional bank. However, despite the term “unmanned bank,” the Kiukiang CCB branch does still maintain a human staff.